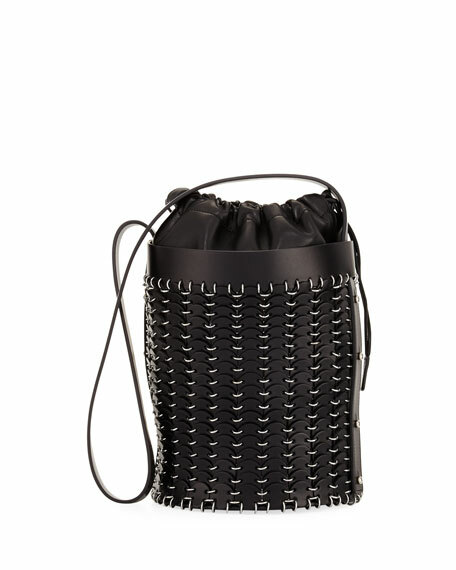 Paco Rabanne bucket bag in sleek calf leather with interlinked construction. Approx. 8.6"H x 7.4"W x 7.4"D.